Danny Denzongpa's wife and daughter, seen at the sangeet function of Sarod player Ayaan Ali Khan with Neema Sharma, in Mumbai on February 19, 2008. 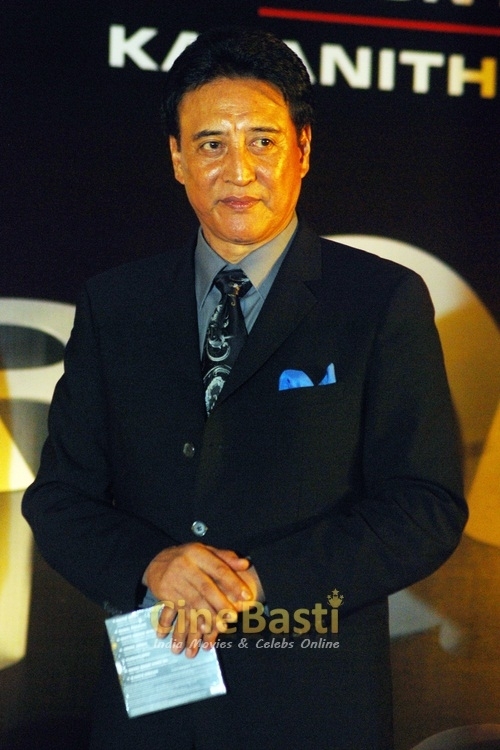 Danny Denzongpa is a well known actor in Indian films. He played the antagonist in scores of films starring some very big stars in Indian cinema. 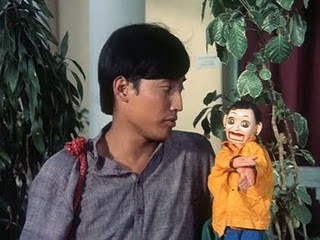 Danny Denzongpa started his life by breeding horses. His family was into horse racing and horse breeding. Right since an early age, Danny wanted to join the Indian Army. He won the best cadet award from West Bengal and he even participated in the republic day parade. He got admission into the prestigious Armed Forces Medical College in Pune. He however withdrew his admission and enrolled in Film Technology Institute. Jaya Badhuri was his classmate at the Film Technology Institute. His original name is Tshering Phinsto Denzongpa. He is of Sikkimese origin. Since other students found it very difficult to pronounce his name, he changed it to Danny and the name struck. He started his film career by singing songs in Indian and Nepali films. He was awarded the Padma Shree for his contribution to films and arts. Danny set up a huge brewery in Sikkim to make beer. Hoksun Breweries was his idea and the company owns three breweries in Sikkim, Assam and Orissa. He also bought Rhino Brewery in Assam to thwart the competition by the Vijay Mallya led United Breweries. 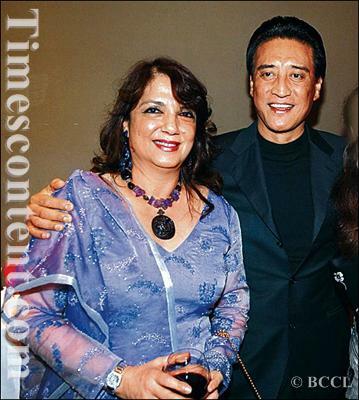 Danny Denzongpa Family: The brewing business is a family affair and is managed by his brother and other relatives. His is a very close family and he enjoys cordial ties with all family members. Danny is married to Gawa Denzongpa. Gawa is a princess and is from the dynasty of rulers of Sikkim. She is from Gangtok and is the last heir to the Chogyul rulers who ruled parts of Sikkim, Arunachal Pradesh and Meghalaya. The couple live in a very plush suburb in Mumbai along with their children. He has a son named Pinzing and a daughter named Pema. His brother Zanzing Denzongpa runs a beer factory in Sikkim where Danny is a co owner. His extended family lives in Gangtok and looks after the business. It is rather interesting to note that Danny prefers not to work in the movies in the month of March, April and May as the temperature is very hot. He spends his summer with his extended family in the hill stations of Sikkim. Danny Denzongpa’s brewery sells three million cases of beer every year. It is the third largest beer brand in the country.